Watch out link-and site-buyers alike! Matt Cutts is in town! For those of you know don’t know (is there anyone out there who doesn’t? 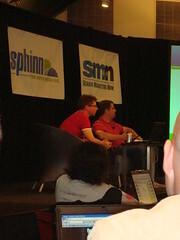 ), Matt Cutts is the head of Google’s web spam team; which means any secret we are hearing at SMX Advanced, Matt is making sure the shady tactics aren’t working anymore next week. So… what should we do? Matt answers some great questions from the audience. Linkbait vs. Widgetbait – Linkbait – content you place on your site to earn inbound links – is good. Widgetbait – creating a widget in order to gain inbound links to your site when users install the widget on their site – is debatable. Matt says that the widgets that fully disclose “by installing this widget you will be placing an outbound link on your site to X site” are more acceptable than not telling users and placing spammy outbound links within the widget. Google Penalties – While Matt wouldn’t come right out and say what the Google penalties are, it is certain that there are penalties. Some vary from where you should be ranking (page 1 versus page 8) and there are some that can get your site booted out of the Google index. If you think you have a penalty – especially after you’ve implemented something new for your site, such as a shady link exchange – change it. Fix it. The power is in your hands. Then monitor the rankings and see if your site’s rankings going back up. Natural links vs. 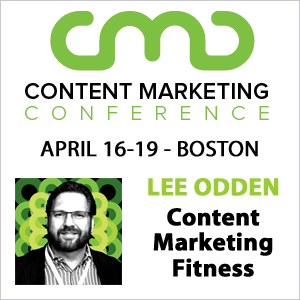 Paid links – A common theme here are SMX Advanced is talking more and more about buying links. What is bad and what is okay? Since we are all here at SMX Advanced, buying links is considered an advanced link building tactics, meaning it is very high risk. Matt and Google both state that editorial, natural links are better, and whenever Google gets a paid link reports they find it and take action. Google is willing to do algorithmic work and manual work to identify and penalize these paid links, and they use the manual methods to improve their algorithm to sniff out the paid links faster. Matt Cutts-Law of SEO – Matt stated that, while he is seen as the moral compass for SEO, he feels everyone knows what is right and what is wrong. We are all smart people and who know what the risky behavior is. All you need to do is think for a minute: “what is best for users?” “what is best for the site?” “what is best for the company?” and you will come up with the right answer without having to consult Matt on every turn. Matt also gave us an example of the ultimate risky behavior in terms of acquiring links: Contacting Google itself and requesting a link exchange. Great session used to end Day 1 of SMX Advanced 2008. Looking forward to SMX After Dark tonight and Day 2 tomorrow! Matt and his team should have the knowledge, financing and know-how to detect paid links. If anyone does, Google does. If not- they need to fix what they have that is broken. As far as this debate has been going on it appears that they have made strides but yet this NYSE company still asks consumers to help them out like they are a 501c3 that needs some help. Its obvious they cannot when the make a public cry. Just fix Google and this will be all over. Period.